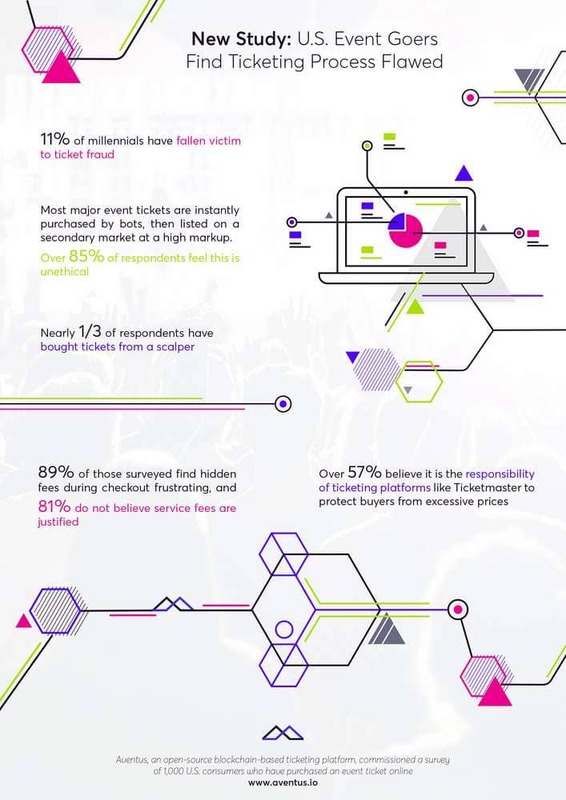 More than 1 in 10 Millennials who attend live events in the US have been the victim of ticket fraud, according to a new study from Aventus. The blockchain ticketing platform surveyed more than 1,000 consumers who have purchased an event ticket online in the US to get a closer understanding of the sector in the country, with the data published by GlobalBankingandFinance.com. The study showed that 11 per cent of Millennials had been defrauded, more than any other age group. The Aventus study suggests that young people, as digital natives, are more likely to provide secure information and are therefore more likely to be scammed. Of those questioned, almost 90 per cent find hidden fees during the checkout process frustrating, while around 80 per cent do not believe additional service fees are justified. While 85 per cent of respondents feel the use of bots is unethical, more than 30 per cent have purchased an event ticket from a scalper. Furthermore, respondents who had purchased from a scalper were four times more likely to be the victim of fraud.